‘I have always been curious about the universe since my childhood. When I was young, I dreamed of becoming an astronaut. Physics can explain a lot of my curiosity about the world. At the same time, physics also gave me a lot of inspiration for the angle, speed and muscle curve of the bow.’ Graduated from the Harvard University Department of Physics, the world-renowned violinist Ryu Goto, who holds third dan of karate black belt, is a generalist. Ryu Goto, an American-Japanese violinist born in New York in 1988, is the younger brother of Japanese national treasure violinist Midori. He was enlightened very early to the music. 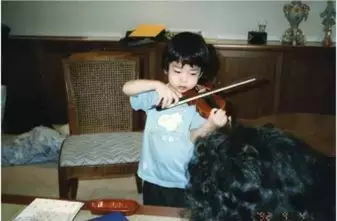 He began to learn violin at the age of 3. His teachers include Yoko Gilbert, Russian violin master Victor Danchenko, and American-based Taiwan violinist Lin Zhaoliang. 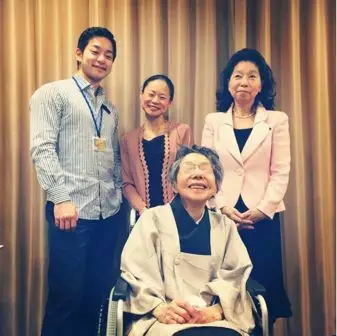 At the age of 7, he was recognized as ‘Japanese violin wonder child’, as he made his debut at the Pacific Music Festival in Sapporo, Japan, playing Paganini’s Violin Concerto No.1. Since 8, he was invited to record a personal documentary on Fuji TV in Japan for 10 consecutive years. His 13-year-old Tokyo 10-series solo concert tickets were sold out in a short period of time, setting a new record for Japanese classical music. At the age of 16, he recorded in London, England, and next year, DG and Universal Music released his debut album and it won the annual sales of the Japanese classical music album. At the age of 18, he recorded in Munich, Germany, and this second live DVD album became once again a great hit. At the age of 19, he graduated from the Trinity College of Cambridge University and the Juilliard School of Music and was admitted to the Department of Physics at Harvard University. 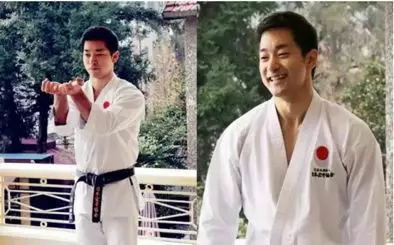 Holding third dan of karate black belt, Ryu Goto is a martial arts master. “Ryu Goto is a sterling violinist with impeccable technical credentials and a personal musical flair. …” said by the deceased violinist master Lorin Maazel. 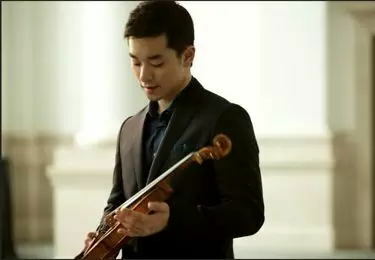 Ryu has appeared as a soloist with many of the world’s leading orchestras, including National Symphony Orchestra (DC), London Philharmonic, Münchner Philharmoniker, Wiener Symphoniker, Sydney Symphony, and Shanghai Symphony Orchestra, etc. He has worked with master conductors Lorin Maazel, Tan Dun, Vladimir Ashkenazy, Fabio Luisi, Leonard Slatkin, Kent Nagano and Myung-Whun Chung. On 16 June, the violinist Ryu Goto will hold a concert at the Shanghai Oriental Art Center. It has been ten years since he first come to China for his performance. 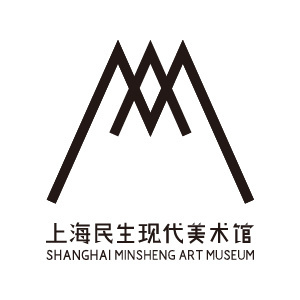 Two days before the concert, Ryu Goto will come to Shanghai Minsheng Art Museum. Inside the Atrium Exhibition Hall, a huge exhibition hall of more than 600 square meters, there is a starry sky displaying 1 billion years later – it is the scene presented by Japanese artist, Ryoichi Kurokawa; the Unfold strives to express nuclear fusion from the sun-like stars, build the model for the initial moment of the supernova explosion, and ultimately show the process of the birth and evolution of stars. 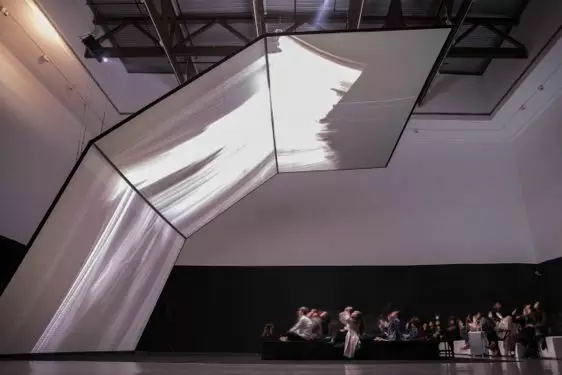 The project was completed under the direction of the astrophysicist and researcher at the Research Institute into the Fundamental Laws of the Universe (CEA Irfu, Paris-Saclay) Vincent Minier. It is inspired by the astrophysicists of CEA-IRFU and based on the latest findings from the European Space Agency (ESA) and the National Aeronautics and Space Administration (NASA) satellites and the data collected by the Herschel Space Telescope, which reveals some of the conditions of the birth of stars and the molecular clouds development by observing far-infrared radiation. Ryu Goto believes that physics and music are inextricably linked: ‘Physics can help me explain many phenomena in the world, including the angles and muscle curves of playing the violin; they are all related to physics.’ He and that 1722 Stradivarius ‘Jupiter, ex-Goding’ violin on loan to him from Nippon Music Foundation (NPO) will experience the visual impact of three huge screens and pulse striking from the installation on the ground, and reflect his pure music talent and professional karate to the audience. On the evening of 14 June, the violinist whose dream is to become an astronaut will predict the future with the audience in our museum. On this night, you will see more than just art, music, technology, sports, and the universe!